To be honest, I have been struggling to write a second blog post. The first one was easy, everything was new, and it was basically an introduction to this mission. Blogging is new to me, but keeping a journal is not. First, I started one about some adorable premature triplets we had referred to us, but sadly, all three of them passed away, and I didn’t exactly feel like writing about it. I wanted to write about when a mother delivers an extremely premature baby, who is too small for our care capacities here. I usually try to visit these mothers in maternity and assist them with holding their child skin-to-skin; in “Kangaroo Mother Care” position. Although their tiny baby won’t survive too long, the warmth of the mother provides comfort and relieves pain. We also encourage the mom’s to let these little human’s breastfeed small amounts. It is difficult, knowing these babies will die, but at least we can make them comfortable and allow Moms to have time with their child. I wrote one about the nursing training that is ongoing, being facilitated by Edith (clinical support nurse) and myself. We do it weekly, but have decided to skip the first week of each month (so we got a break this past week!). It is going really well, but it is a lot to do – every week we have to prepare again and make sure we have all the supplies, ensure that certificates are printed (with the correct names…). The hardest part about it is to muster up the same energy every week – for the nursing staff, it is a new group every week so they are all very excited and full of questions. Which is EXACTLY what we want – but we have to find it in ourselves to be equally as excited and energetic about the training that we are doing weekly. Although, if it sounds like I’m complaining, I’m not. It has been a pleasure doing it, and word about it is buzzing around the hospital. Staff are constantly asking when they can attend. I love that they are excited about training and are eager to refresh their skills, especially before the next malaria peak. Our first group of trainees. Plus one resuscitation doll. I was writing about the interesting cohort of patients we have with diabetes. Diabetes is always thought of as a developed world problem but it is a worldwide problem…it is a disease without borders. 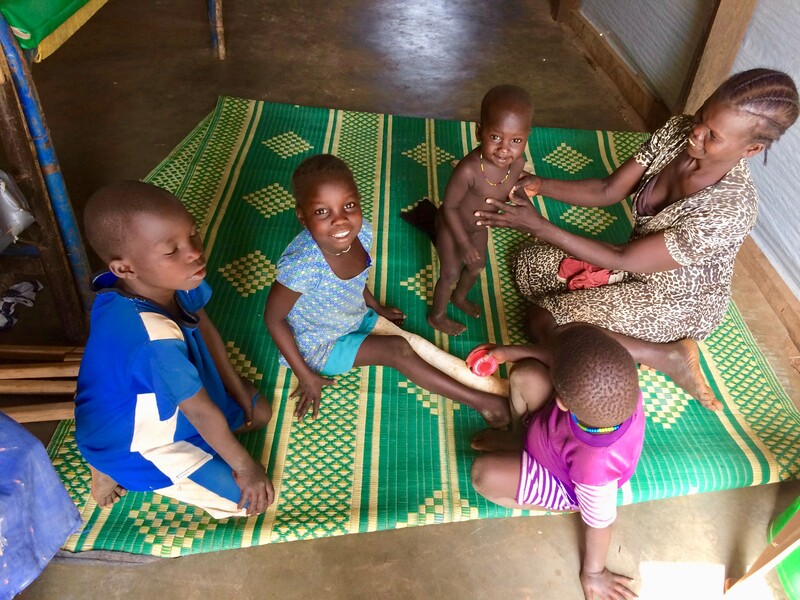 We have some patients with diabetes mellitus type 1, insulin-dependant, but of course, access to insulin here is pretty difficult – and even with access to insulin, most of these kids don’t have a steady source of food. They will come into our ER in DKA – diabetic ketoacidosis. It’s a critical condition where your body has ran out of insulin, so is breaking down other sources to use for energy. Ketones – toxins - are released, and usually when these kids present, they are VERY sick. But, the team manages them quite well…we have a strict protocol that is well followed, and after a few hours in the intensive care unit (ICU), we can transfer them to a stable ward and soon they are discharged. But they always return a few weeks later in the same terrifying condition. A family going home after a long stay with surgery and traction! I also wrote about the flexibility that MSF requires. When you are first recruited, you are told to be flexible, be ready for changes. It’s even in the job descriptions for expatriates and national staff – to be flexible. You never stop hearing the phrase ‘be flexible’. 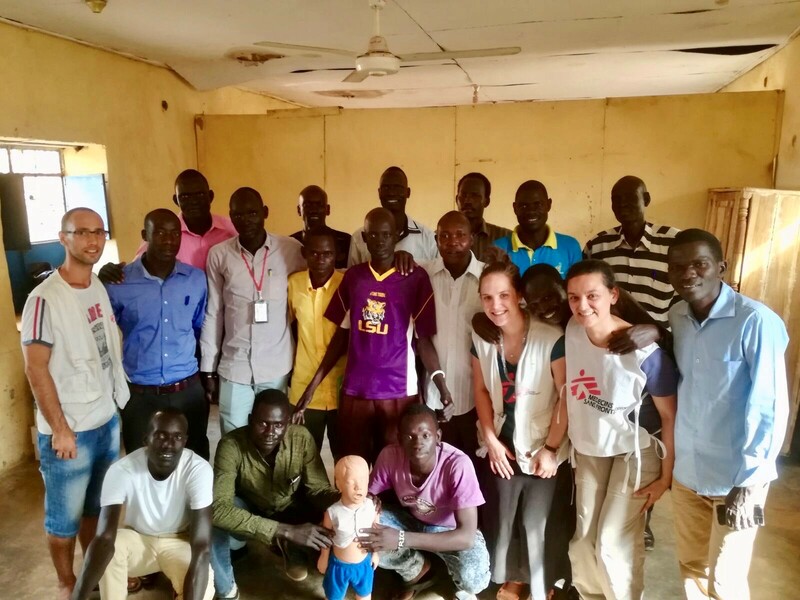 This project in Aweil is very large, and so there is a Head Nurse and a Deputy Head Nurse to help manage the functioning of the hospital. 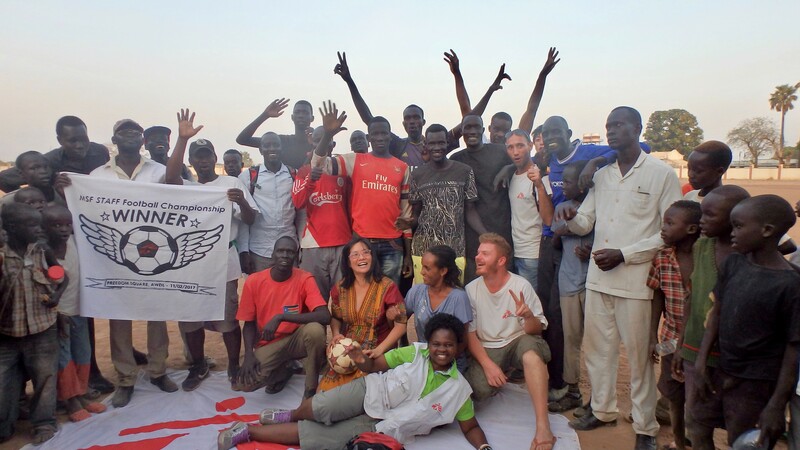 They help the South Sudanese supervisors with administrative things like rosters, recruitment, discipline, planning leave, pharmacy orders, as well as assist with trainings, bed management, and clinical supervision. The deputy head nurse also directly supervises the health promoters and the vaccination team. 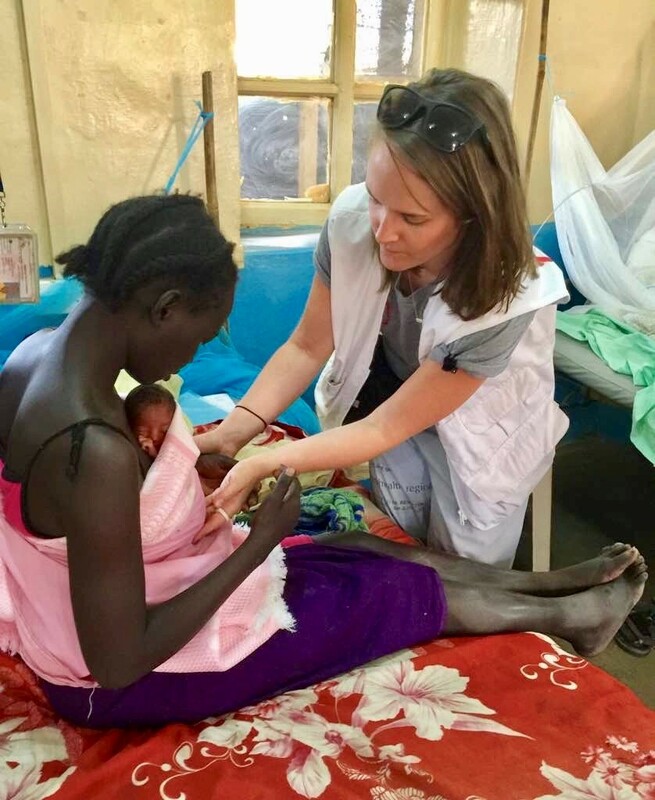 Our deputy head nurse recently was on vacation for a couple of weeks and, on her way back, another project in South Sudan asked if they could borrow her for a month. So, because of that, I am now the acting deputy head nurse, supervising the health promoters, vaccinators, dispensary, among other tasks Rebecka took care of. In addition to that, I am still the clinical support of the ICU and neonatal wards. It is a bit difficult to find a good balance between the two, as when I am “deputy head nurse”, I feel bad about the lack of clinical supervision in the ICU and neonatal wards. When I’m in the wards, I’m thinking about all the stuff I should be doing and if the vaccinators are doing well or if the health promoters need anything… you get my drift. I have a ever-growing “to-do” list. However, I’m more than happy to do whatever needs to be done, and for myself to develop a different set of skills. Hopefully I can get a better understanding of my role soon, and do a good job at it. I definitely miss being always in the wards – but I make sure at least once a day I go hug a baby in the neonatal ward or play with some of the kids in the surgical ward. Sometimes I can get lost in the ‘tasks’ that need to get done – which are important – but the most important reason we are here is the mamas and kids! An infant too small for our capabilities – but the mother can hold in Kangaroo Care to give the baby some comfort. So – as you can see – things are always busy, and many things happen. It can be difficult to keep track of, and I’m not always sure what people want to know or not know. But each experience is important, and gives a glimpse into our lives and work here.